AK Steel Corporation scientist Wei Wu holds a sample of the company’s new advanced high strength steel. 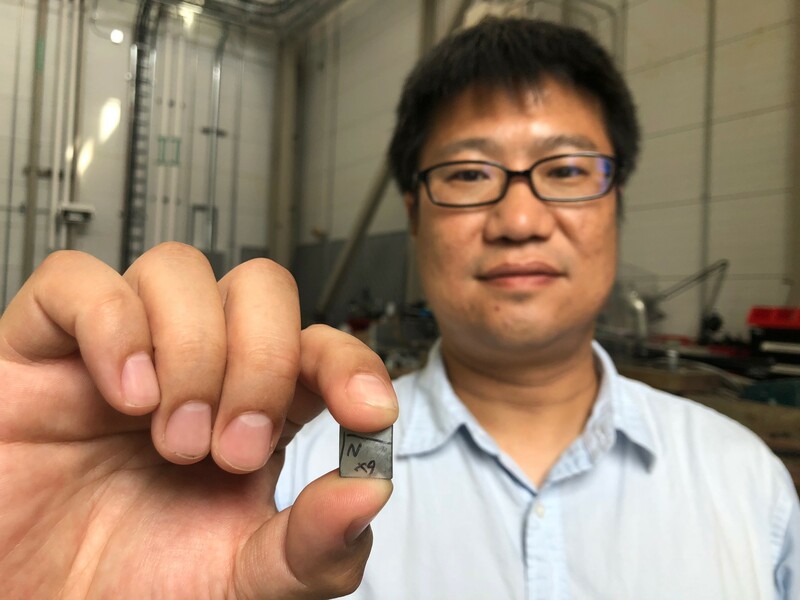 Wu is using neutrons to study how the material is affected by various manufacturing processes to produce automotive components that improve fuel efficiency, last longer and are safer. Credit: Kelley Smith/Oak Ridge National Laboratory, U.S. Department of Energy.